Betrayed takes a new approach to the subject of global poverty, one that doesn't blame the West but also doesn't rely on the West for solutions. Betrayed puts the poor themselves at center stage, and shows how their entrepreneurial energies are shackled by political and social discrimination. When these shackles are removed, as is happening in places such as China and Vietnam, the poor are able to seize opportunities and drive wealth creation. 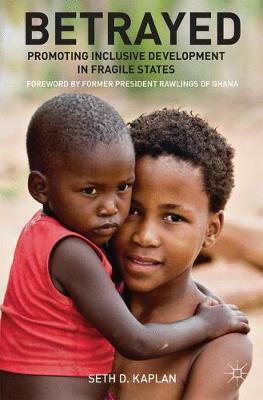 Combining the latest research into poverty and state building with the author's personal observations drawn from years running businesses in the developing world, Betrayed explains how leaders in the developing world can build more inclusive societies and more equitable governments, thereby creating dynamic national economies and giving the poor the opportunity to accumulate the means and skills to control their own destinies. This refreshing new approach will appeal to business people who are fed up with reading critiques of global poverty that see capitalism as the problem, not the solution; people in both the global North and South who want to see attention focused not on Western aid but on what developing countries and their citizens can do to help themselves; scholars and practitioners in the development field who are looking for new, practicable ideas; and general readers who want accessible and engaging accounts of ordinary people struggling to overcome poverty.